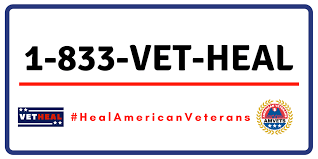 AMVETS is hosting a Heal American Veterans Town Hall meeting to hear from service members, veterans and family members on the topic of access to appropriate healthcare options. We need to hear from you. Note: Beverages & light fare will be served during the meeting. Free parking available with a valid ID.